Haksap is a native the Japanese island of Hokkaido which is in the northernmost part of Japan and has very cold climate. Haksap grows wild there. The native people have been making use of this wild growing fruit since ages. The Japanese also started in 1967 a programme of domesticating this wild fruit and growing it as an orchard crop. However, due to rising labour cost in Japan during the past few years, the Japanese fruit growers have started loosing interest in this fruit crop. 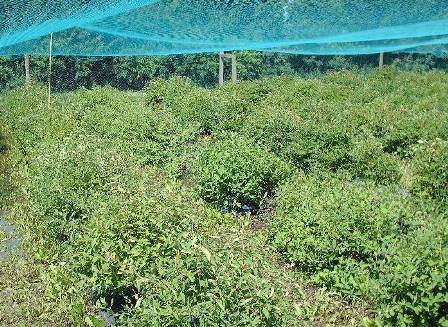 The small berries of Haksap have to be hand picked which is becoming more and more expensive with every passing year. Therefore the profitability of Haksap is declining. Haksap has also now been introduced into the United States and Canada. Flowers small, about 2 cm long, cream to light yellow in colour, abundant, therefore making haksap an attractive shrub; self incompatible. The fruits are edible. The taste is somewhat like a combination of blueberry and raspberry. 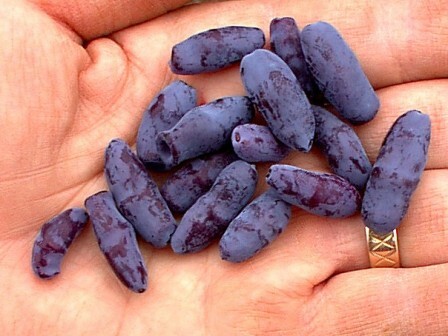 Haskap fruit can be substituted in almost any berry fruit recipe, especially blueberry recipes with some adjustments for sweetness levels. It is a rich berry with lots of color and flavor that is especially good in dairy products. This fruit can also be used to make juice, tea, wine, candy and many other flavorful products. The plants require cold climate. These grow vigorously and produce good crops. 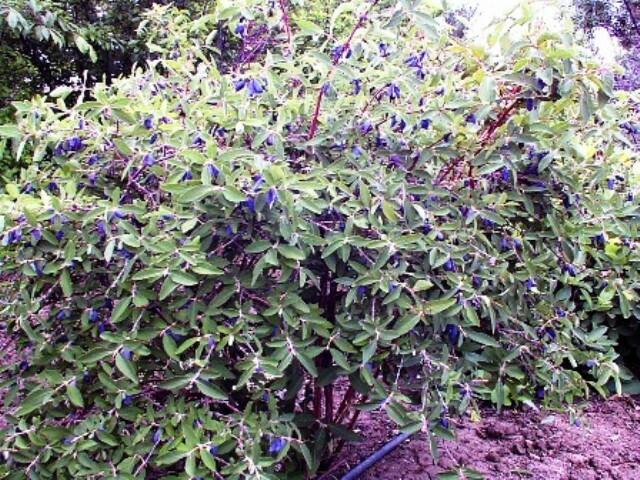 Haksap can be propagated from seeds as well as cuttings. There exists a large variation among the plants due to the seedling origin. There fore a lot of scope exists for selection of superior clones. On the whole, haksap is a promising new commercial crop for cold areas. Though the plant starts bearing right from the second year, the full production is reached after five to six years. Yield increases as the plants grow larger.